We are inviting the true lovers of the nature and underwater beauty to take the adventure of discovering the underwater of the Istrian peninsula and to get familiar with the variety of the rich flora and fauna that surrounds it. Enjoy the numerous caves, the hydro-archaeological attractions and shipwrecks that adorn our underwater. Along the littoral of Poreč, from Novigrad on the North until the Lim bay and Rovinj to the South, there are about 20 shallow spots appropriate for diving, going from 4 to 40 metres. 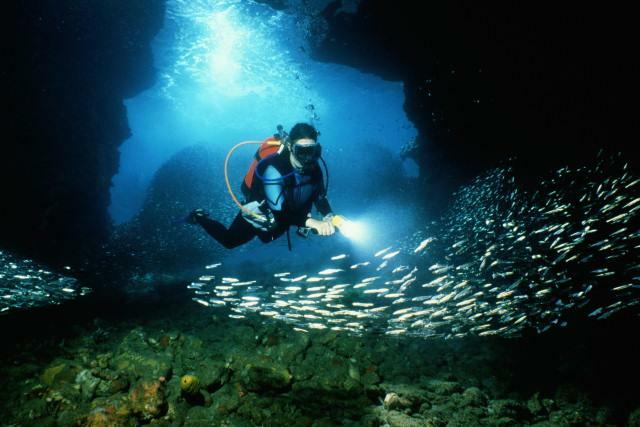 A special diving feeling is represented by night diving and the visits to the shipwrecks of sunken ships where the organized diving is permitted. The most known shipwreck is the Austro-Hungarian travellers’ ship Baron Gautsch, sunken in 1914 close to Rovinj. It is considered one of the most beautiful shipwrecks of the Mediterranean and it has been proclaimed one of the 50 most beautiful diving locations of the world. Diving centres and clubs offer the possibility of renting and maintenance of the scuba diving equipment, and professional assistance. Thanks to the pleasant sea temperature, diving in Istria is possible through the whole year, especially from May to November. The necessary revenue stamps can be bought at newsstands. The use of harpoon guns is forbidden, as the pullout of the sea-spiders and shells with the use of diving air tanks. Centres marked with * are open from April to November, while the other centres and clubs are open during the entire year.